Beat five of your in-game friends on any tracks. They must all be different friends! 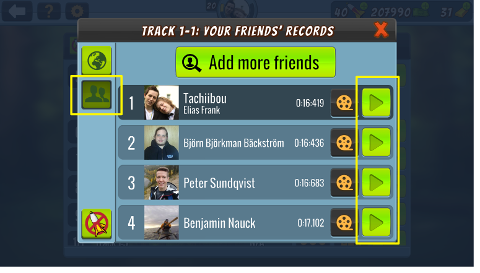 First create an account in Mad Skills BMX 2, then access Friend leaderboards on any track. Then simply tap the green arrow icon on the time you want to challenge.